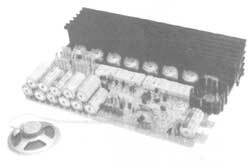 These power amplifier kits allow you to assemble a whole amplifier from the provided parts. Good for professional audio or hobbyist work. Uses schottky barrier diodes as low-heat, high current,high speed, high-efficient rectifiers. Employs single potentiometer to control +/- voltage in synchonizations. 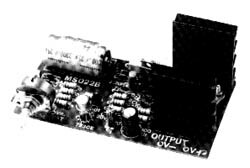 Suitable for common pre-amp/miniature OCL/OTL power amp. Onboard rectifier, only requires a power transformer. High quality IC AN6551 as pre-amp, low noise, less distortion, wide frequency response, low dissipation, high sensibility/gain. 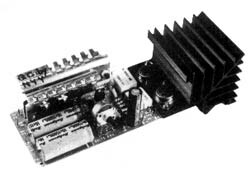 RIAA curve response, MM amplifier. NF type tone control. Treble/mid/bass controls, source volume, mixing level, balance and loudness switch. It has treble, mid and bass tone controls and mic mixer input. It employs low noise pre-amp and mic mixer. 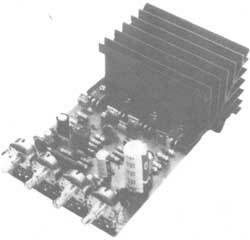 It uses two pairs 80W high power transistors which configure as fully symmetrical bridge (BTL) output. Connect either 12V-24V DC/5A or power transformer, it can work. It can be used outdoors, camp, boat and automobile. MS087 - Pro. Heavy duty Regulator With Full Protection. Professional regulator provides high stability, high reliability and extremely low ripple. With overload signal, current cut off protection, current limiting protection, circuit selection and LED indicators it is suitable for many different applications. The precisely designed electronic protection circuit works faster, safer and is more durable than fuses. 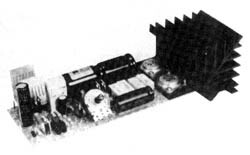 Output current selectable 5A, 10A, 15A, 20A, plus protection mode selector. 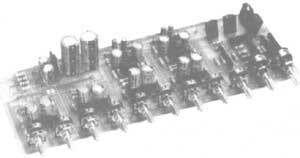 The system incorporates four 30A Schottky barrier diodes & filter capacitance of 3600 microfarens F as well as eight power transistors for regulation output, providing safety and reliability. It can be chose either stereo four-channel mixing or eight channel mixing. It can be input phono, mic, tape recorder or tuner at the same time. Independent surround mixing can change the channel with the other and enhances the stereo effect. 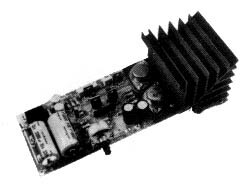 It employs JAPAN NATIONAL low noise IC and has regulated power supply for pre-amp. Sound is good and clear.